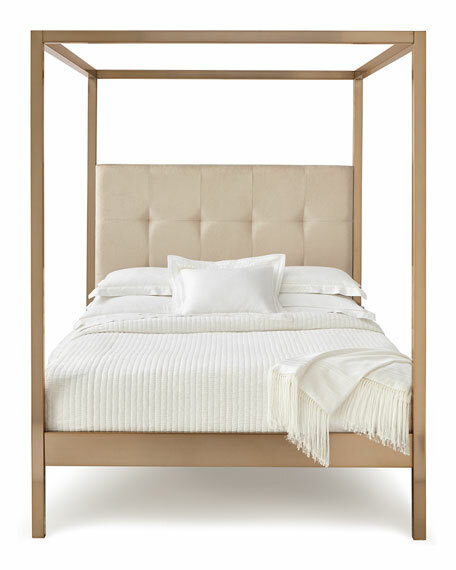 Bed has metal frame with a champagne-brass finish. Polyester upholstery with button-and-tuck styling. 80.25"W x 85"L x 82"T.
Boxed weight, approximately 224 lbs.